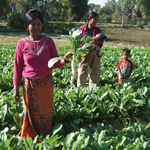 10,000JPY Cambodia: You will enable 4 rural families to practice sustainable agriculture and improve food security. 6,000JPY Fukushima Prefecture: You will ensure that a local salon remains functioning. 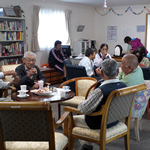 This salon is essential for people living in temporary shelter, as it will help revitalize their health and social life. 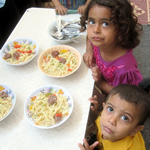 1,000JPY Palestine: You will help reduce childhood malnutrition by providing the funds necessary to teach one mother how to provide good nutrition for her children. 1,000JPY Afghanistan: You will provide a first-aid kit for a rural home which may not have immediate access to a hospital.